The Organization for Economic Cooperation and Development – the body regrouping some of the richest nations – is now urging its members to act fast on climate change. Solutions to this challenge exist and Mankind just needs to apply them. Moreover, they are affordable compared to the cost inaction would have on a global scale. This is quite revealing of the level of the threat that such an economic body focuses on it. Most importantly we know that it can be avoided. The 2008 OECD Environmental Outlook is a pathbreaking report that marries economic and environmental projections for the next few decades and simulates specific policies to address the key challenges. It identifies four priority areas where urgent action is needed: climate change, biodiversity loss, water scarcity and the impact on human health of pollution and toxic chemicals. Economic-environmental projections show that world greenhouse gas emissions are expected to grow by 37% to 2030 and by 52% to 2050 if no new policy action is introduced. (…)”Countries will need to shift the structure of their economies in order to move towards a low carbon, greener and more sustainable future. The costs of this restructuring are affordable, but the transition will need to be managed carefully to address social and competitiveness impacts, and to take advantage of new opportunities”, Secretary-General Gurría said. The 2008 OECD Environmental Outlook projects that world GDP will almost double by 2030. And the OECD policy simulation shows that it would cost just over 1% of that growth to implement policies that can cut key air pollutants by about a third, and contain greenhouse gas emissions to about 12% instead of 37% growth under the scenario without new policies. 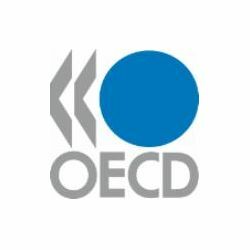 OECD recommends use of policy mixes, and to keep the costs of action low these should be heavily based on economic and market-based instruments. Examples are the use of green taxes, efficient water pricing, emissions trading, polluter-pay systems, waste charges, and eliminating environmentally harmful subsidies (e.g. for fossil fuels and agriculture). (…) The Outlook identifies ways to share the cost of policy action globally. Developed nations have been responsible for the majority of greenhouse gas emissions to date, but rapid economic growth in emerging economies – particularly Brazil, Russia, India and China – means that by 2030 the annual emissions of these 4 countries together will exceed those of the 30 OECD countries combined. (…) “We must be aware that getting it right in the field of the environment is not only about what to do and how to do it. We also need to address the question of who will pay for what. The global cost of action will be much lower if all countries work together”. How much will it cost to address today’s key environmental problems? Notre-Planète.info : Combien cela coûtera-t-il de résoudre les problèmes d’environnement d’aujourd’hui ?